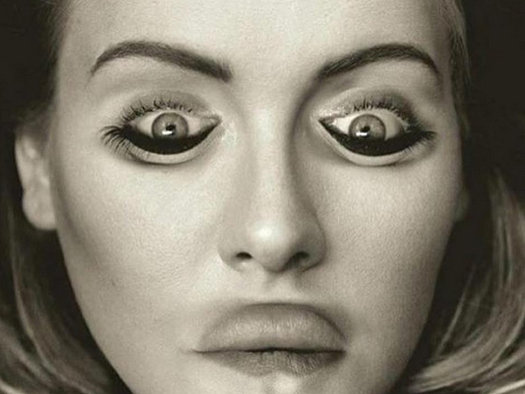 This upside-down photo of Adele’s hit album 25 is totally normal right? Well, guess again. Because flipped around, it may be the most terrifying thing you’ll see all day. While Adele looks completely normal right-side up, the freakiness of the upside-down image owes to the fact that Adele’s lip and eyes have been flipped, leading us to become totally shaken inside *sobs*. The scary meme was created by Twitter account, Turn Your Phone, after they altered images of celebs and asked users to turn their phone upside down for the upsetting effect. However, it didn’t go viral until TheShadeRoomInc on Instagram posted the image, with the caption, ‘#Wayment what kind of sorcery is this … #Adele,’ going on to get 28,100 likes with over 9,000 comments from fans who are now scarred for life. Although this is the first time we’ve been genuinely scared of Adele, this isn’t the first time the global sensation has become meme-ified. At the end of 2015, the Internet went nuts for her single Hello, mashing it up with Lionel Richie’s own 80s classic and Matthew McConaughey even spoofing the iconic video. 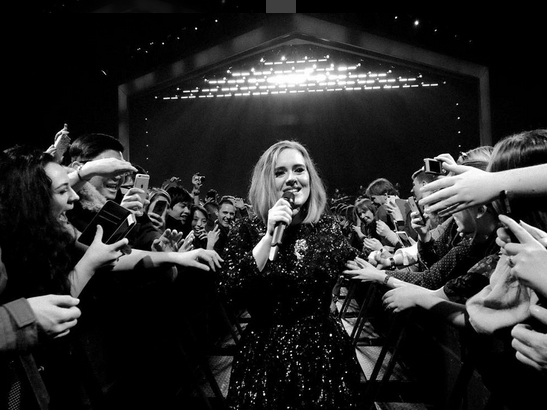 Because, DUH, it’s Adele and when can we ever get enough of her.